The VPR crew at K.T. Ray's On The Pond on Aug. 17. Kira Parker, the engineer in this story, is second from the right. Calling Island Pond “isolated” just reveals my own Burlington-centric bias. One could just as easily say that Chittenden County is isolated from Vermont’s Northeast Kingdom. What is undeniable is that the area around Island Pond is sparsely-populated, rugged and has cell service that is spotty at best. This area makes up a small percentage of VPR’s listening audience. And because of its distance from VPR’s headquarters and lack of cell towers, it is an expensive and difficult area to serve with our broadcast signals. I met several Island Pond-area listeners last week at K.T. Ray's On The Pond as part of our statewide Tell Me More Tour. 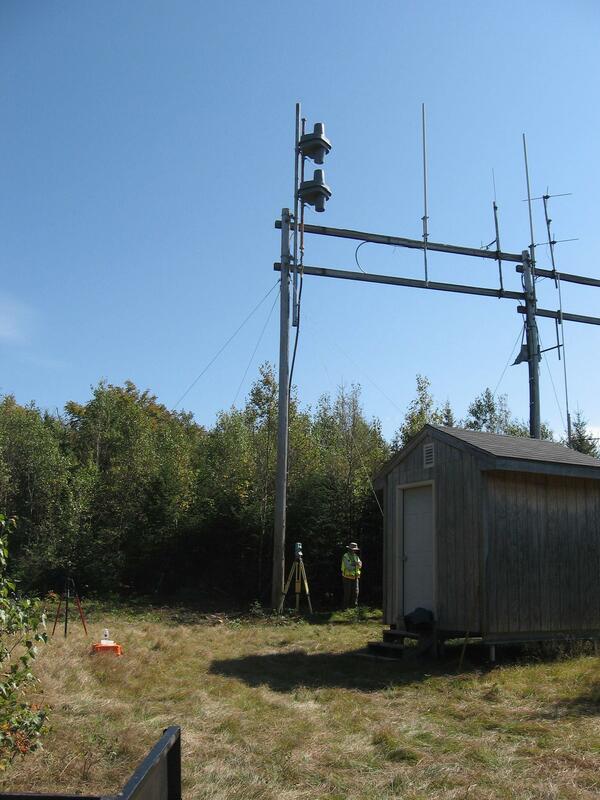 They are passionate about VPR’s service and the need to maintain our traditional broadcast signal in the area. 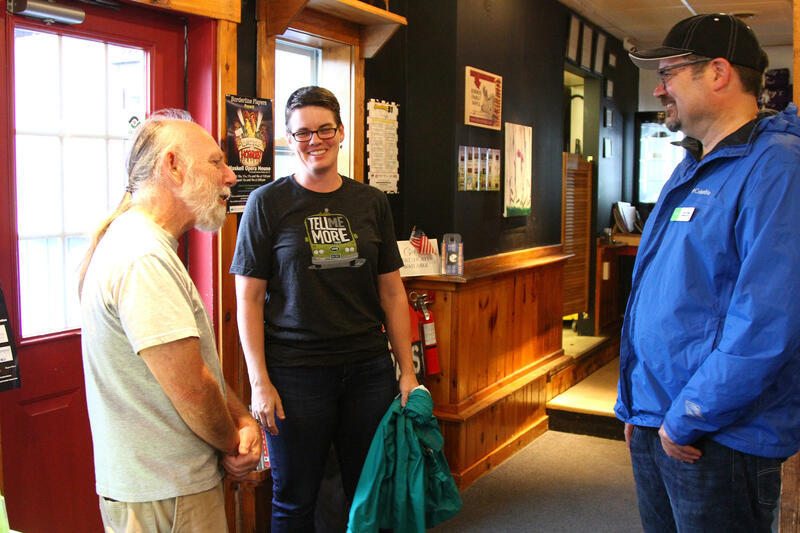 Scott Finn and Vermont Edition Host Jane Lindholm talk with VPR listener Bart Hauser. Maintaining these broadcast signals is part of what makes VPR public media. We serve areas of the state that may not make sense from a purely economic standpoint — but places that lack consistent cell service and high-speed internet, and where there are fewer media choices, rely on VPR more than in other, more populated parts of the state. Island Pond and the town of Brighton are home to a VPR Classical transmitter, WVTI 106.9 FM. Without it, it is unlikely many people in this area could enjoy our classical service. I had the pleasure of traveling up a mountain with VPR engineer Kira Parker to see our transmitter. There’s a lot more to providing you with that signal than you may realize. VPR's WVTI transmitter under construction in 2008. In our case, we’ve built a small trailer full of computer equipment that sits at the top of the hill, directly below the tower. We can monitor it remotely by computer, but maintaining it requires Kira to drive up a rocky road in VPR’s loaded down four-wheel drive pickup truck. In the winter, she has to rely on four-wheelers or even her own two feet to get up the mountain. When Kira enters the trailer, she smells the air. She raises her hand with the universal sign for “please be quiet so I can listen.” She uses all her senses to make sure the computer servers, transmitter equipment and HVAC are all in working order. She sees a piece of equipment that seems amiss. It’s an old computer that plays backup music in case we lose the internet connection that provides the signal to the transmitter. She makes a note to look into replacing it. We leave the trailer and look up at the tower on which we rent space (at a cost of about $20,000 a year.) Two small antennas stick off the side of the tower — they’re not big, but they’re enough to take that signal from the trailer and blast it to much of the Northeast Kingdom. On the way down the mountain, Kira tells me a story of a man in a remote area who complained to her for years about his poor radio signal. He had no internet, so radio was the only way he could listen — but the radio signal was choppy. Kira advocated for and received permission to upgrade the equipment. The morning she turned it on, the man immediately called her, so grateful to finally be able to hear his station. “That’s a big part of my job, to make sure people can hear a quality signal,” Kira told me. I agree. You may not hear her on the air, but Kira and our other engineers and technology team are a huge reason VPR is available to the people in our region. Increasingly, people are listening to VPR in new ways — on smartphones, on laptops, on tablets. They’re listening on-demand and downloading our podcasts. But my trip to Island Pond reminds me of the importance of listening the old-fashioned way — over the air. It’s free, it’s easy and it’s available to almost everyone in Vermont — thanks to our 28,000 members and local business underwriters. It’s one way we explore the WHOLE Vermont story, together. VPR's Jean Murphy speaks with an Essex County listener at K.T. Ray's On The Pond. 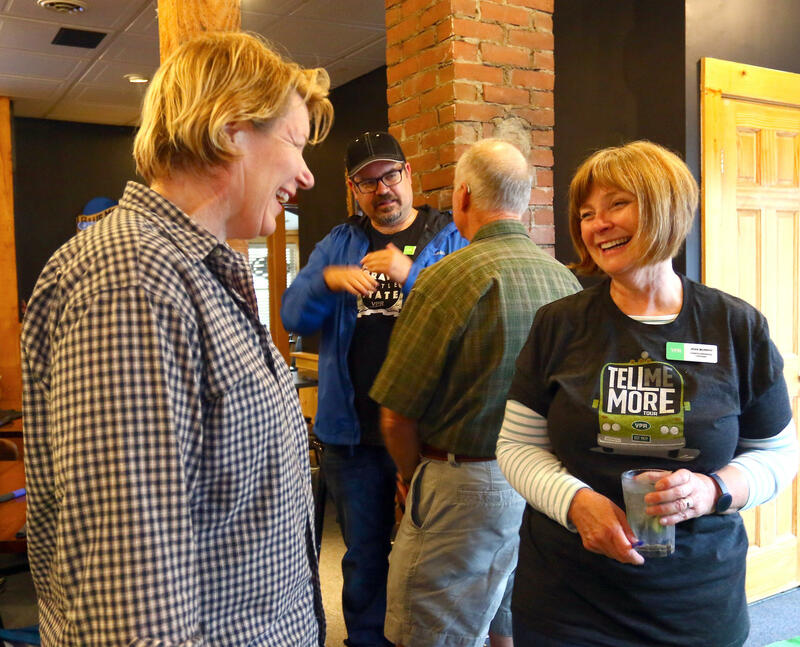 On June 28, VPR kicked off its Tell Me More Tour with a trip to Caledonia County and a community event at the Fairbanks Museum in Saint Johnsbury.